Part of my wellness/beauty journey has been searching for better skin care products as my face still breaks out like when I was a teenager. One step in my routine I have grown to love is facials and facial masks. There have been plenty of high end masks but I always looked for a drug store/bargain mask that works. I also have a preference of masks you wash off. I am not a big fan the peel-off masks, although I do use them on occasion, such as Beauty360 from CVS. I was thrilled to have discovered Feeling Beautiful Freeman Masks many years ago. However, the only way I could get them was in these travel size pouches. 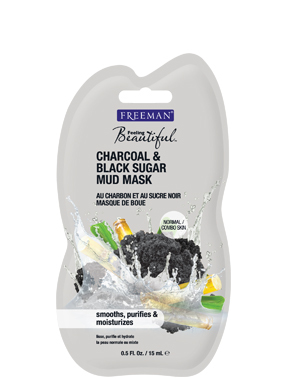 My first experience was with the Charcoal & Black Sugar Mud Mask for Normal/Combo Skin. I was always amazed on how it made my skin feel afterwards but it was a one time use pouch so I limited myself on how many times I would venture to use it. 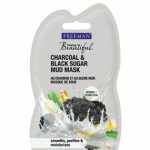 A few years ago, I discovered that Ulta Beauty Store carried Freeman products in the full size tubes with a variety of masks. That day I purchased a variety and have tested them out. I tried the Dead Sea Minerals Anit-Stress Mask to help clear pores and smooths skins. I was not a big fan of this one. I am not sure if it was the sea salt but I had a a burning sensation that would grow as I let it dry on the skin. I kept trying other kinds and found another mask that I completely love just as much as the first mask I tried. 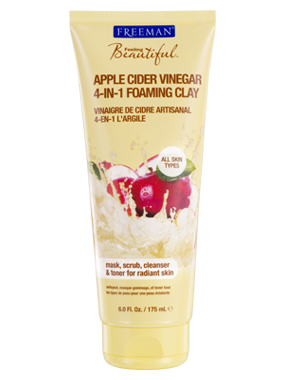 It is the Apple Cider Vinegar 4-in-1 Foaming Clay. 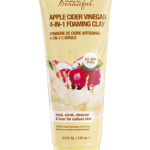 My face feels smooth, clean and radiant but without any discomfort while it is one my face. I apply a layer on my face and neck and allow it to dry completely. Afterwards I use a warm wet facecloth to swirl the product around. As it foams, I continue to swirl around while rinsing off the facecloth until all the product has been remove. After each facial mask, I use a facial toner and moisturizer. I have found that when I apply a mask once a week my skin is beautiful and has become a regular staple in my skincare. I look froward to trying other brands and Feeling Beautiful Freeman Masks. Filed Under: Be True To You!